Former Real Madrid president Ramon Calderon has claimed that Gareth Bale might be sold this summer. The Welshman is going through a very bad patch at the Bernabeu as the home fans have jeered him on multiple occasions. And according to Calderon, Bale hasn’t shown enough commitment, which is why the fans aren’t happy with him. As a result, he doesn’t see the former Tottenham man at Real Madrid next season. “It's true that he wasn't the leader people expected here after Cristiano (Ronaldo's) departure," Calderon told. "He showed a lack of commitment. People are not happy - they saw how he shrugged off his team-mates when they went to celebrate a goal with him last La Liga match and also (his) injuries. "It's a pity. I don't see him here next season unfortunately." 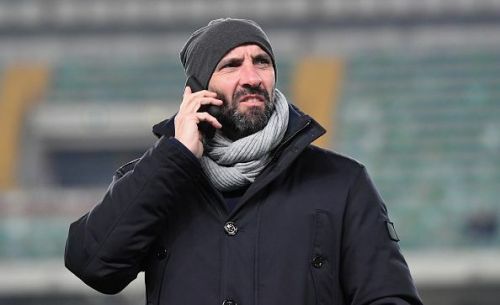 Former Sevilla director Monchi has officially left his post at Roma and is now a free agent. According to reports, Real Madrid are considering a move for the former Roma director, who is known for his ability to find talents and bring them to the club he works for. Arsenal, however, are also interested and have made him an offer, the report adds. According to reports, Gareth Bale has an offer from PSG as the French giants are willing to pay €175 million for the Welshman as well as give him €19 million-a-year in salary. While it might seem like a huge amount, PSG will only attempt to sign him if they sell Neymar or Mbappe.